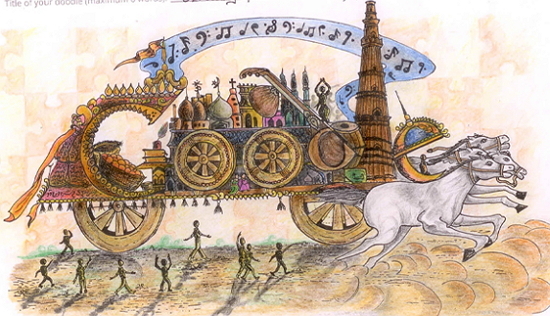 Google 4 Doodle India 2012 contest winners were announced yesterday. Arunkumar yadav, a IX standard student of Kendriya vidyalaya from Chandigarh won the title of Google 4 Doodle India 2012 contest. Every year Google India conducting Google 4 Doodle contest between Indian school students for create beautiful and meaningful doodles. This year over 200,000 entries arrived from 1000 schools across India. Google 4 Doodle India 2012 judges selected 13 finalist from total entries and finally winners were selected by online voters. The theme of this year contest was "University in Diversity" Arun Yadav successfully drew the beautiful doodle and put title as "A prism of multiplicity". All 13 finalists will be invited to attend the final awards ceremony and will be awarded to Samsung Tablet and Certificate from Google India. 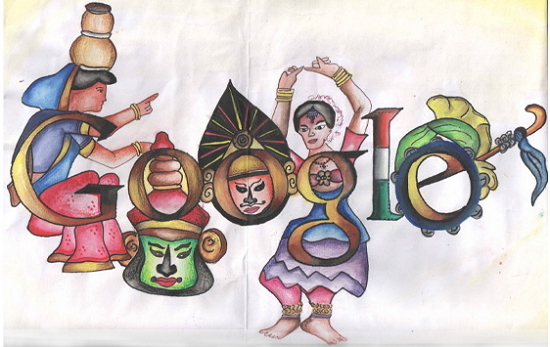 And the National winner doodle posted on Google India home page at yesterday.